30 October 2017, New Delhi: Banks and mobile operators have been sending messages and email to customers asking them to connect there Aadhaar with their bank accounts and mobile numbers. 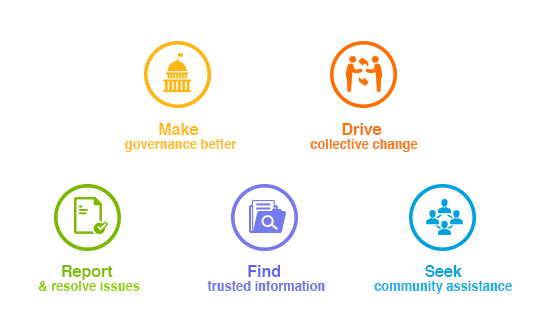 LocalCircles asked citizens what their perception is about the proposed linkages through a multi-question poll which got more than 52,000 responses. The first question asked citizens if there should be a financial penalty for banks, telecom providers or any other organizations that compromise their Aadhaar, bank or call/data transaction details. In response, 94% replied in an affirmative while only 2% voted against it. 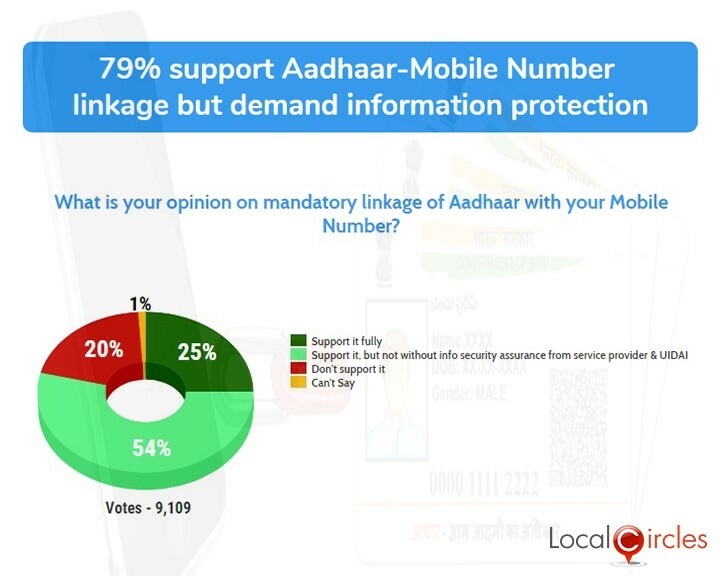 The second poll asked citizens what they thought about the mandatory linkage of their Aadhaar and Mobile number. 25% citizens responded saying they fully support it while 20% said they don’t support it. A majority of 54% said that they will support it but not without their personal information security assurance from service providers like Airtel, Vodafone and from the UIDAI. 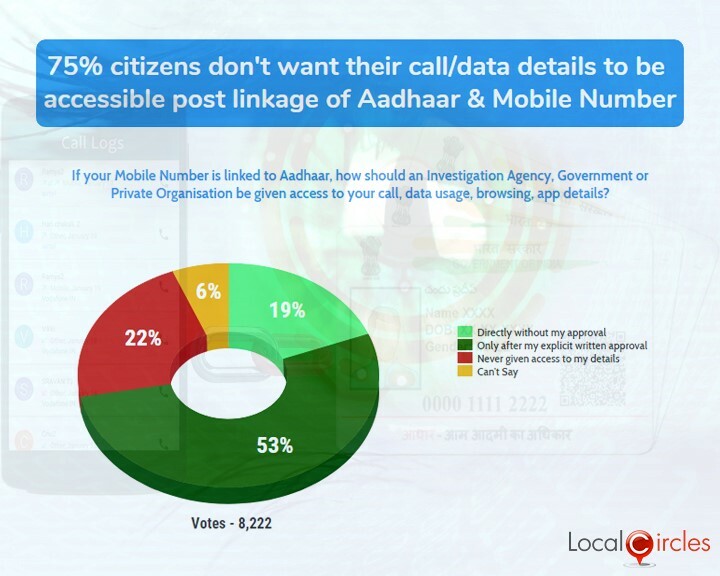 The third question asked people if their mobile phone was linked to Aadhaar, how an investigation agency, Government or private organization should be given access to their call, data usage, browsing, app details etc.? Around 53% citizens responded saying access should be given only after their explicit written approval and 22% said access should never be given. Only 19% said the access could freely be given without any approval. The second set of polls asked people what they felt about mandatory linking of their Aadhaar card with their bank accounts. 39% responded saying they would completely support the move while 12% said they would not support it at all. 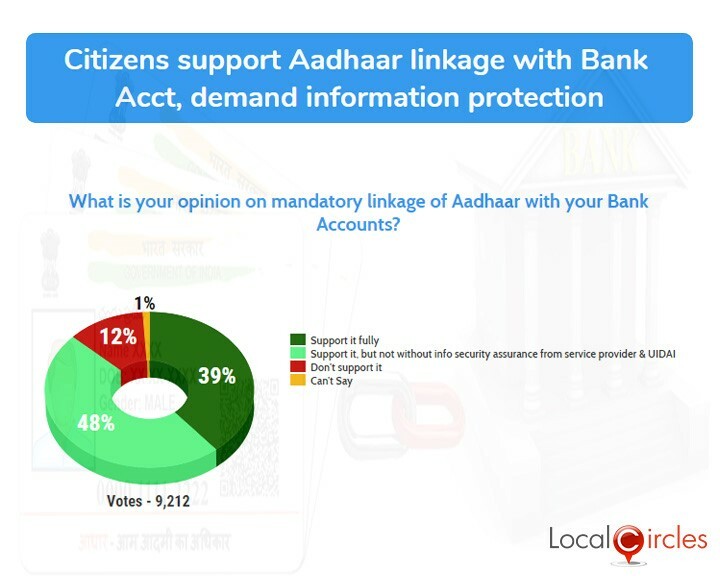 A large 48% said that they will support the move only after the banks and UIDAI assure them that their personal information will not be leaked or misused. 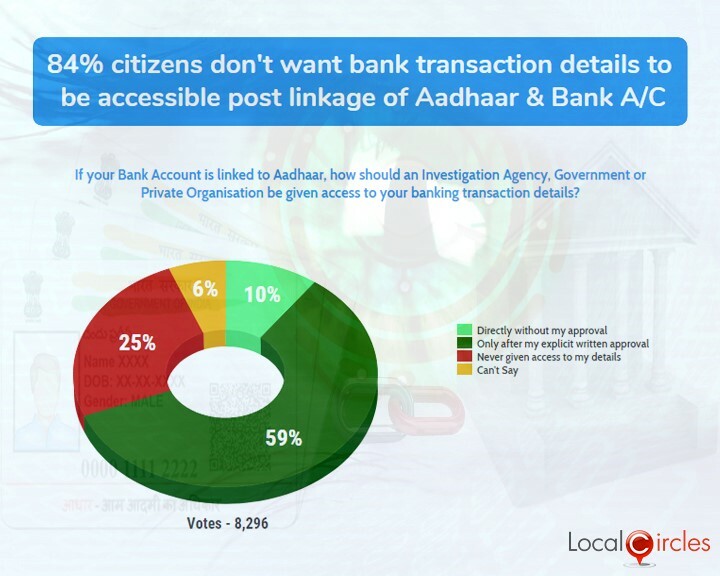 In the follow-up poll, LocalCircles asked people if their bank accounts are linked with Aadhaar, how an investigation agency, government or private organization should be given access to their banking transactions. In response, 59% citizens said that the access should be given only after their explicit permission and 25% citizens said that access should never be given to their details. Only 10% said that access could be given directly without an approval and 6% were not sure about their answer.